The Assumption of Mary was declared as a dogma by Pope Pius XII in 1950. It is not a doctrine in Anglicanism, but some Anglican congregations observe the feast. 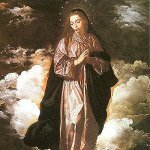 Most protestants do not believe in the Assumption of the Virgin Mary. Most Eastern Churches celebrate the Feast of the Dormition of the Mother of God instead. The Assumption of Mary is observed as a public holiday in many countries. Some countries also celebrate other holidays on this day that are in a certain way related to the Assumption. For example, in Costa Rica the Assumption is celebrated as Mother's Day. In Canada, the feast is also known as the National Acadian Day as the Virgin Mary is the patron saint of the Acadians. Mary is also the patron saint of the Romanian Navy, thus Romanians celebrate Navy Day on August 15. In Italy, the Feast of Assumption has blended with Ferragosto, pagan harvest festival. Ferragosto was introduced by the Roman Emperor Augustus, it marked the end of the agricultural season and the beginning of the period of rest. The name “Ferragosto” derives from the Latin phrase “Feriae Augusti” that is translated as “holidays of Augustus”.